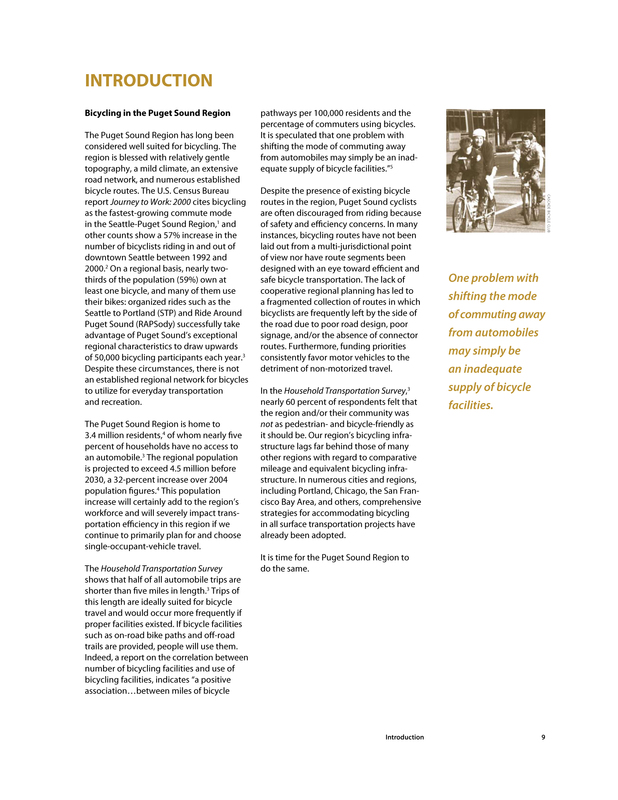 The benefits of bicycle use— both to the cyclist and to the community— have long been recognized. 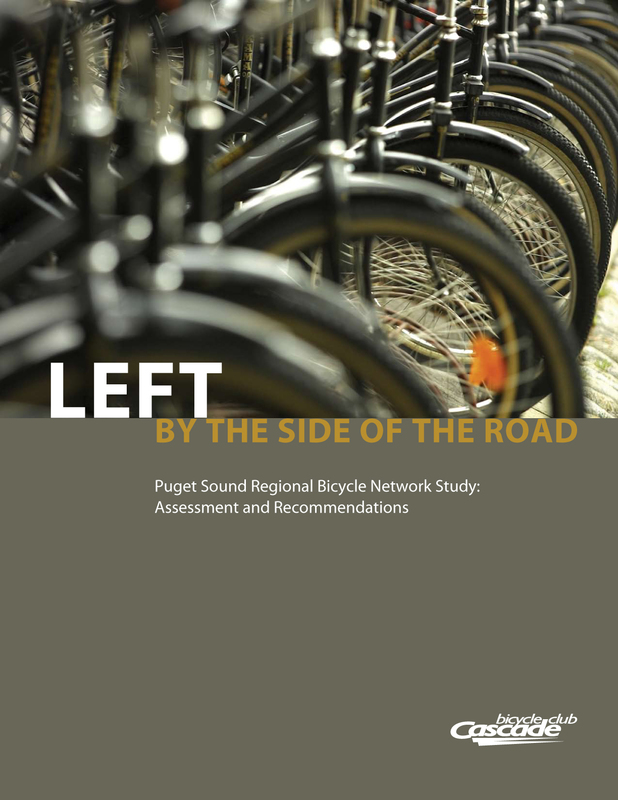 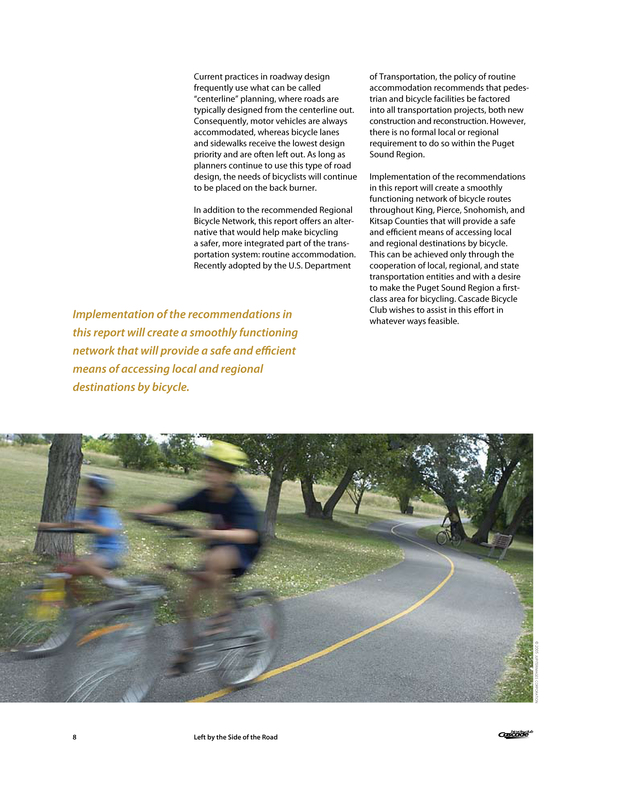 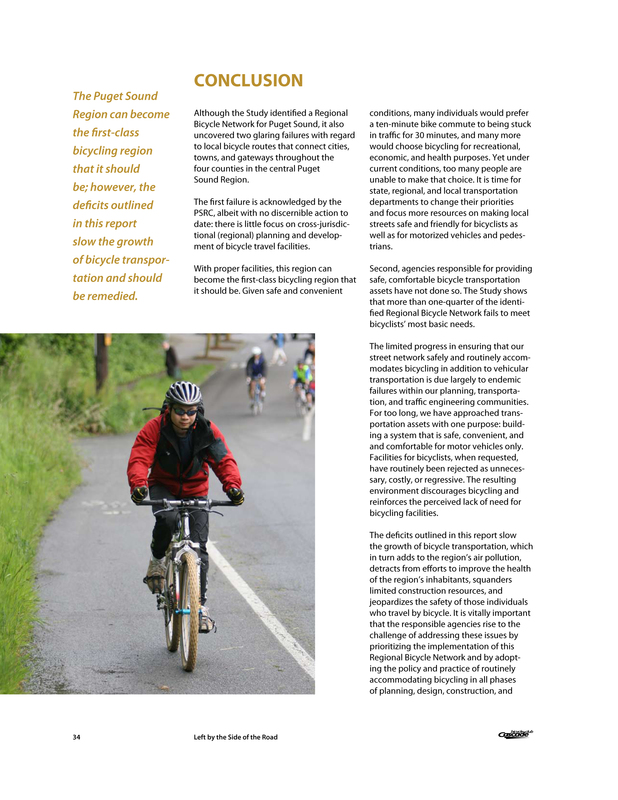 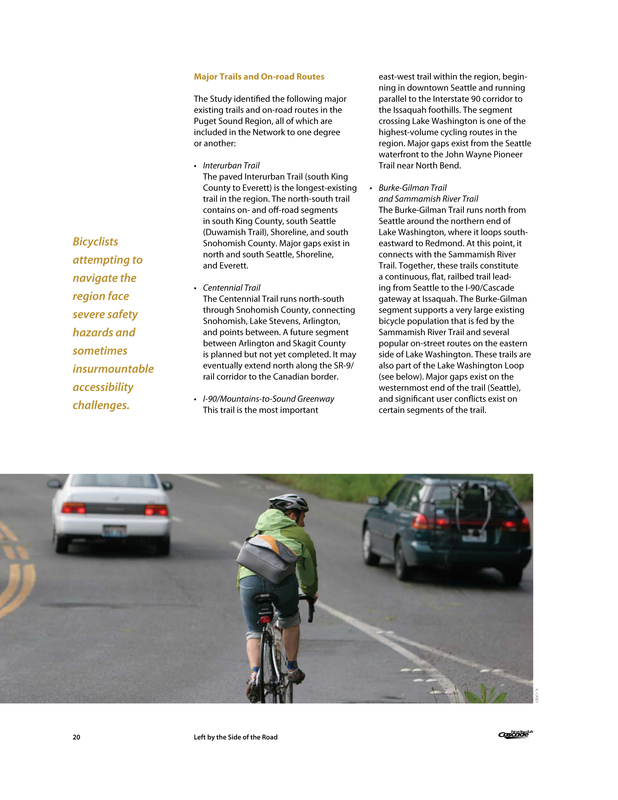 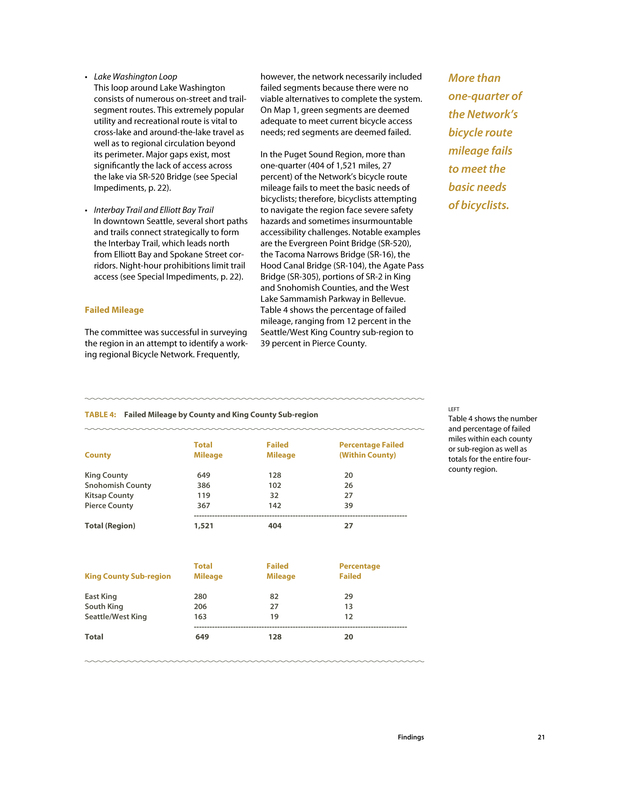 The Puget Sound Regional Bicycle Network Study, published by the Cascade Bicycle Club, is a detailed assessment of bicycle routes in the Puget Sound region. 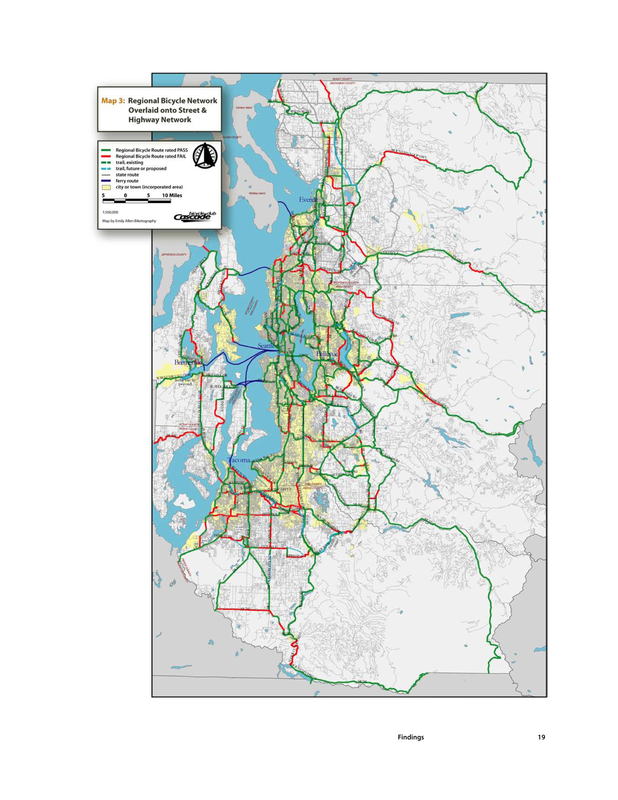 It explores a balanced approach to transportation planning, complete with maps in print and in digital format, in order to ensure that both pedestrian and bicycle traffic are included as critical elements of the network. 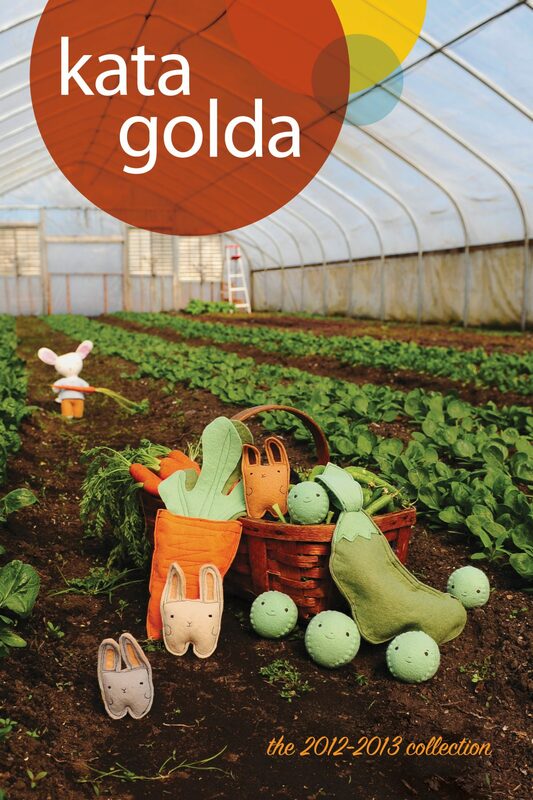 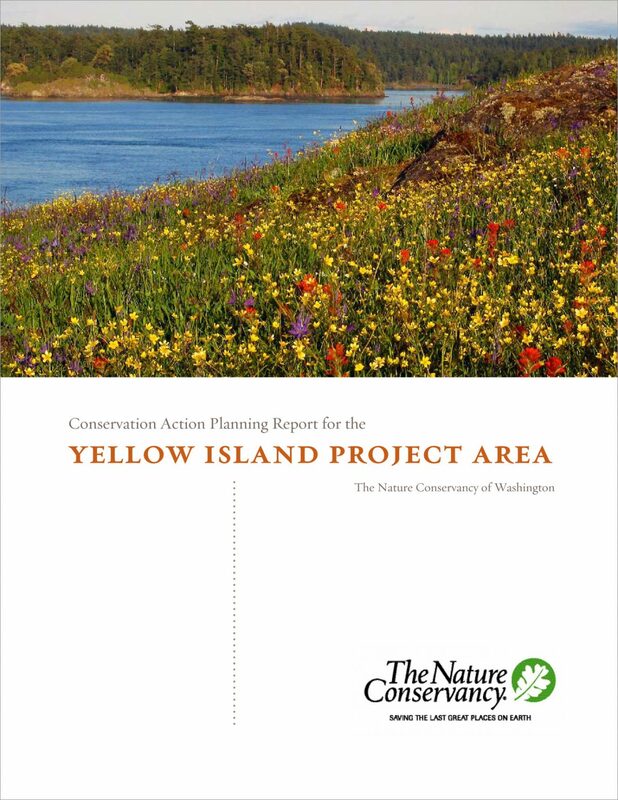 The printed booklet presents the information in a clear, digestible manner, balancing color photography with charts, quotes, and maps. 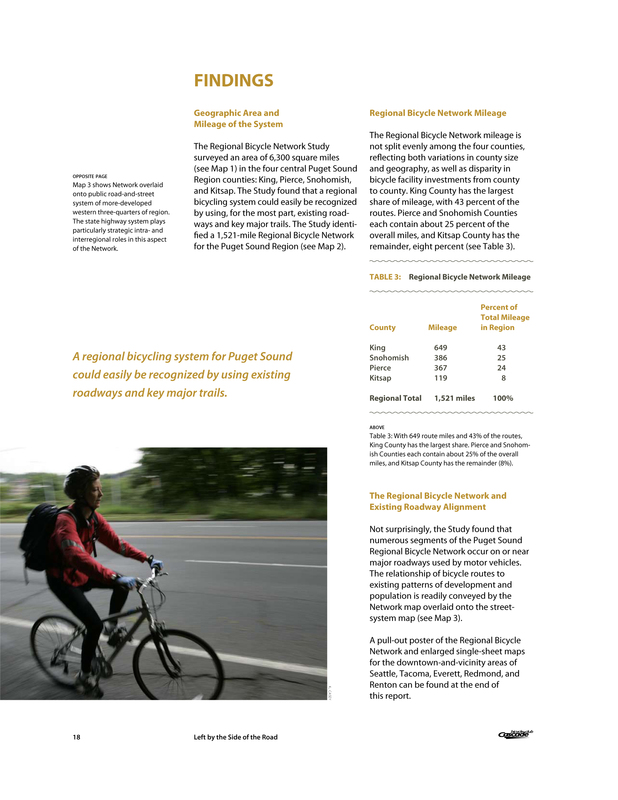 Also available as a downloadable PDF, the report was designed to minimize the amount of ink needed by an individual to print out the information themselves. 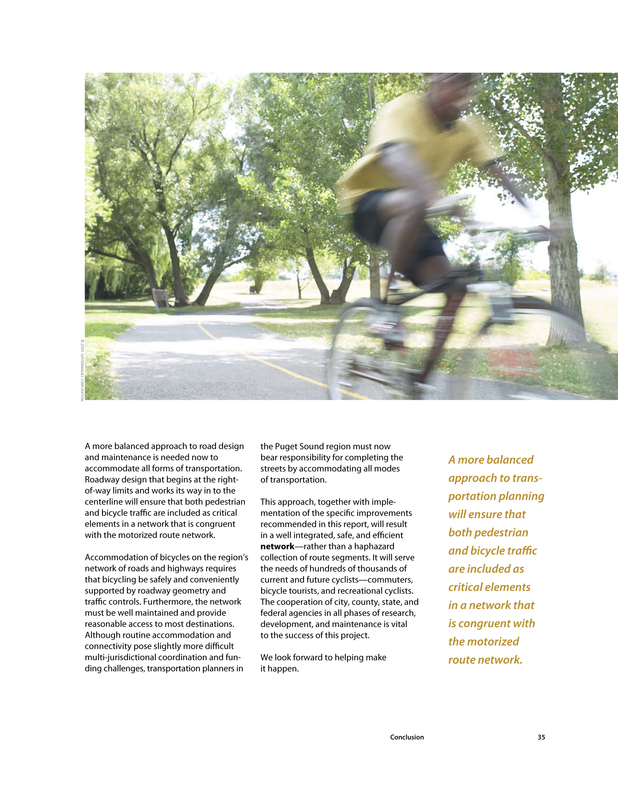 The white background and minimal use of images that bled off the side of the page contributed to the ease with which the study could be bound and printed, without risk of compromising the professionalism of its presentation.